Both Enhanced Editions are being handled by Overhaul Games, the development division of Beamdog (the developer in charge of the MDK HD remakes, amongst others). Atari (publishing) and Wizards of the Coast (licensing) will be involved as well. As borne out by this tweet from Trent Oster, Beamdog’s creative director, Baldur’s Gate : Enhanced Edition will include the Tales of the Sword Coast expansion; similarly, Throne of Bhaal will be included in Baldur’s Gate II : Enhanced Edition. As of now, there’s no release window for Baldur’s Gate II : Enhanced Edition. Baldur’s Gate : Enhanced Edition will contain new, original content (including new characters!) and some of the original developers will be helping out. The multiplayer system will be completely overhauled and reworked. Just like the originals, the Enhanced Editions will utilize the 2nd Edition D&D rule-set. 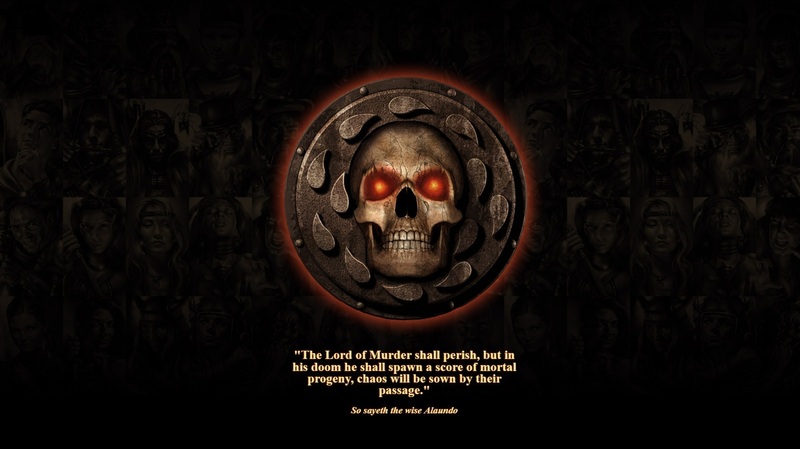 Both the remakes will be based on the source code from Throne of Bhaal; so a lot of the tweaks and updates from there should make their way into the Baldur’s Gate : Enhanced Edition. I don’t know about you guys, but I call that a win! The official announcement can be seen in all its glory past the break. Baldur’s Gate : Back From The Dead? The Baldur’s Gate series is held by many – myself included – to be one of the finest RPG franchises of all time. 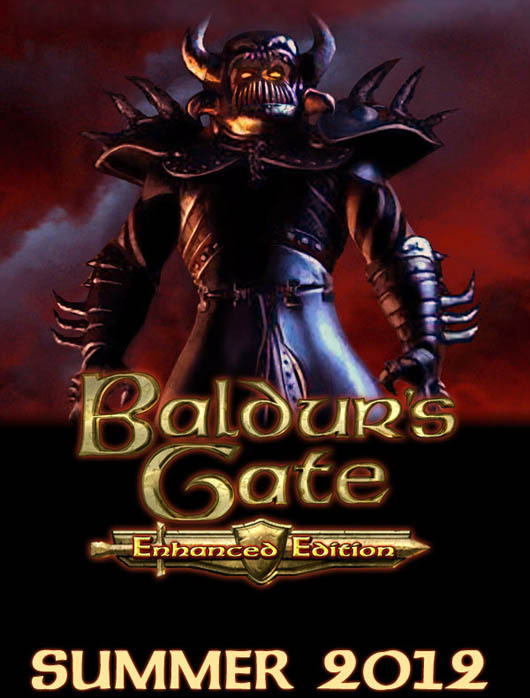 So, you can understand the immediate interest when BaldursGate.com went live a few days ago, bearing the above image and playing the original game’s theme music. In the background, you can see some faded character portraits; if I remember correctly, they look a lot like the portraits you could choose to represent your character. More information can be found in the page’s source code, which I’ve posted after the break.